Published on June 5, 2010 in COP, Features, Finance, General T&T, People's Partnership, Politics, Protest and UNC. 6 Comments Tags: Kamla Persad-Bissessar, Politics, Rapid Rail, Smelter, T&T Govt, Water Taxi. ‘IT would be foolish of the new government to simply abandon all projects started or even planned by the PNM regime. But we have a mandate from the people to immediately take action on some of their billion-dollar plants and plans. I believe the people voted against the Alutrint smelter at La Brea. They voted against Mr Colm Imbert’s rapid rail. They voted against ex-prime minister Patrick Manning’s offshore Otaheite industrial island. Without committing himself, and not wanting to go on record last week, a People’s Partnership source close to the Cabinet spelt out some broad plans to the Business Express. So what PNM mega-projects are likely to fall to the new government’s axe? Site of Alutrint’s smelter plant at La Brea. Start with the aluminium smelter. While the adjacent 240-megawatts electricity generating plant is currently under construction, the US$500 million-plus smelter is yet to get off the ground, stymied by final EMA approvals. The anti-smelter lobby successfully challenged the EMA’s provisional CEC before the High Court sometime last year. The People’s Partnership vowed on its platform to change the EMA to an Environmental Protection Agency (EPA). One source said the new government may opt to continue with the power generation plant. The Alutrint project has several very powerful and strategically important ‘partners’ as part of the joint-venture. China, for example, has provided the ‘soft loan’ capital (US$400 million through its Exim Bank) and the building contractor. The latter has insisted on using Chinese labour, with minimal jobs for locals. China is among the emerging global superpowers, and no Trinidad and Tobago government would want to sour relations with Beijing. Last December, months after Venezuela’s Sural withdrew as an investor in the project, one of Brazil’s leading aluminium companies, Votorantim Metais, signed an MOU with Alutrint to ‘take up the slack’. Brazil is fast emerging as the powerhouse of South America, a country with which we’d want to have good relations. How the new government would wiggle its way out of the smelter plant without breaching contracts the last PNM government would have signed, and without offending China and Brazil, would be a diplomatic challenge. The rapid rail, the single most expensive project conceived by the PNM government, seems destined to the dustbin. Although the last government has already expended some $300 million on preliminary studies and designs, the new People’s Partnership government may prefer to write off that sum rather than pursue a $15 billion-plus project. The PP seems sold on the Bus Rapid Transit (BRT) alternative that is substantially cheaper and, combined with other modes of public transport (like maxi-taxis), will deliver similar commuter service. 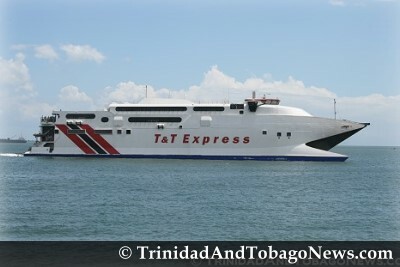 But, said our source, the PP is likely to expand the water taxi service that was initiated by the PNM government last year. Another billion-dollar project that will come under the People’s Partnership microscope is the recently signed contract between Israeli firm Merhav Mekorot and WASA. New Prime Minister Kamla Persad-Bissessar warned WASA and the PNM against signing any such contract-said to be worth more than $1.3 billion-on the eve of general election. WASA chairman Dr Shafeek Sultan-Khan and PNM spokespeople said the contract was signed after more than a year of negotiations. Frontline PP people have noted that Mekorot is not the only company in the world with the expertise WASA says it has. Then there are the many ports being in some stage of planning and construction as the new government takes office. The NEC also plans to construct a fish landing facility to complement the area’s fishing industry. Facilities for the Coast Guard Southern Command Centre are also to be constructed. The most controversial of these is the planned port for Claxton Bay. Residents and environmental activists, many of whom are strong supporters of the PP, have protested against this facility (officially called the Point Lisas East and South Port) for more than two years. The NEC, which is the executing agency for most of these ports and energy-related plants, continues to conduct preparatory work for what was originally intended to be a nine-berth port, now cut to two berths (in the first phase). Up to a few weeks ago fishermen of the Claxton Bay district protested barges still operating in the area intended for the port. Since this port is linked directly with the Essar steel mill, and given that the Indian conglomerate seems to have abandoned plans for the mill, the new government may question its viability and its environmental impact on fishing in that part of the Gulf of Paria. Another mega-project that will most likely be dumped by a PP government is the reclaimed ‘island’ off Otaheiti, officially called the Oropouche Bank Off-Shore Reclamation. This 1,400 hectare island, which Mr Manning promised he would build should his party return to power, will be located 3.5 km from the Otaheiti coastline. The NEC says: ‘This site will allow for large scale cluster of gas based industries. The seaward side is adjacent to natural deep water for development of post-panamax harbour. Design services were invited in 2006 for Development Plans, Dredging and Reclamation Designs, Preliminary Infrastructure Designs, EIA and obtaining of CEC.’ Four years later, the project remains a concept that may never come to fruition under a PP government. Among other major projects that are likely to be reviewed is the eTeck Tamana Park. If Brazilians or Chinese lived on the island of Trinidad, then one imagines that the discontinuance of the Aluminium smelter project could have some effect on their lives; but given the fact that they do not; and any objection is simply about money; then I think Madam Prime Minister should not lose too much sleep over the Chinese or Brazilian reaction to its halt. Who comes up with these harebrained ideas? Lets look at what we are dealing with, Trinidad is an island, a very small one that’s already over-industrialized to produced products which are unnecesary to the survival of the inhabitants of the island; has any leader considered why these larger industrialized nations prefer to construct these highly dangerous industrial plants off-shore? What’s next a nuclear facility at Otaheiti? What’s the environmental record of the Chinese? There are over one billion Chinese on the planet, if they lose half to environmental hazards and toxic chemicals mother nature might be grateful. Instead of focusing on new ways to destroy the ecology and environment of Trinidad & Tobago, focus instead on discovering how much damage has already been done by decades of abuse and mismanagement, whether or not it’s remediable; and put the citizens of T’n’T to work on securing their future, the future of their island and their children’s future. For the life of me, I can’t understand the thinking of my people back home in Trinidad. First, Trinis needs to understand that they are living in a global world, and as such, needs to view projects and future development such as the Smelter plant in that context. Developing countries must never limit them self to projects that will only impact the local folks but must continue to develop industries that can reach beyond their local border. It would be a step back, in my opinion, if the new government doesn’t continue down the road of developing the infrastructure and industries of sweet TnT. In my opinion we have to have some type of raptd transportation system to move people on the Eastern Corridor; I believe a Monorail would make a lot of sense and financially feasible. The rail can be construceted along the existing Highway. Also Citygate should be pushed to Beethem Highway, with shuttle Buses to the Inner-City with a nomomial charge to working people. All non-essentil vehicle should be banned from the Inner City from 6:00 AM to 6:30 PM, resident shall be exempted from this restriction. The present condition makes it difficult for Emergency response in the event of an emergency. Very good karibkween, we appreciate your outrage at runaway industrialization, and concerns for local environmental degradation, but deep in your soul , do you honestly believe that the real reasons the new government wishes to pursue any policy much less this anti PNM one , is a result of such concerns? Well Neal, if it isn’t, it should be. As the ‘drill baby drill’ proponents are appreciating in the Southern coastal states of the Jew S.A. Man has only one home, planet earth, in fact the mammalian species has only one home, as proven by the inability of rats to reproduce in zero/micro gravity space. So like it or not, for those who have dreams of a USS Enterprise rescue in the future, our destiny; sink or swim is in the hands of mother nature and we should all become familiar with that “woman on the edge of a nervous breakdown.” When I was in high school back in T’n’T; in the ‘place without water’ I remember one of my teachers maybe literature/french explaining that on the list of nations with the most automobiles Trinidad was number fifteen; anyone wants to guess how long ago that was; more than three decades ago, at that time Trinidad was no where near the top on any other list whether population, wealth, industry, least of all SIZE, but there we were at number 15 in the world for having the most autos. Things have only gotten worse since then. Maybe like China we should become familiar with bicycles, or like Brazil repave city streets with cobblestones and make them inaccessible to vehicular traffic, institute a law that allows one vehicle per family; enforce the tax laws governing vehicle ownership and the privilege of driving on T’n’T’s roads. But its always the same isn’t it, when it comes to citizens taking actual responsibility for their existence there is a hell of a lot less enthusiasm. So continue to accumulate as many toys as you can have then watch helplessly as the ground disappears from beneath your feet, and the air around you begins to suffocate. Work on the Smelter Site is going merrily along. The New Port in Labidco Estate is well advanced. More than 200 locals with about 50 expats work EVERY DAY The conveyor belt system and infrastructure are being installed. Please Mr. Warner, Mrs. Bachan, Brig. Sandy – pay a visit to these sites and see for yourself. What I will like to know is who will ultimately be paying the bills for these jobs. Remember that a Special Company was formed to handle the Power Station and the Alutrint Smelter – with people including PNM bigwigs.